What’s a Zebigsap? It doesn’t seem to be a word??? I’m not sure! My only guess is maybe it’s supposed to be read like “zee big sap”? But I really don’t know..
looks like he had a face-lift and a manicure – but the Glarfs are still there! This is Rangui the blue Glarf. 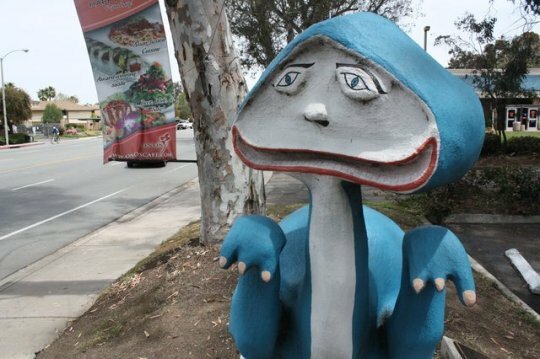 A Glarf is a cross between a dwarf and a dinosaur. The Glarfs were named and created by a 15 year old boy named Jerry Lee Gauss some time in the 1960’s. Jerry died in a traffic accident at age 19. 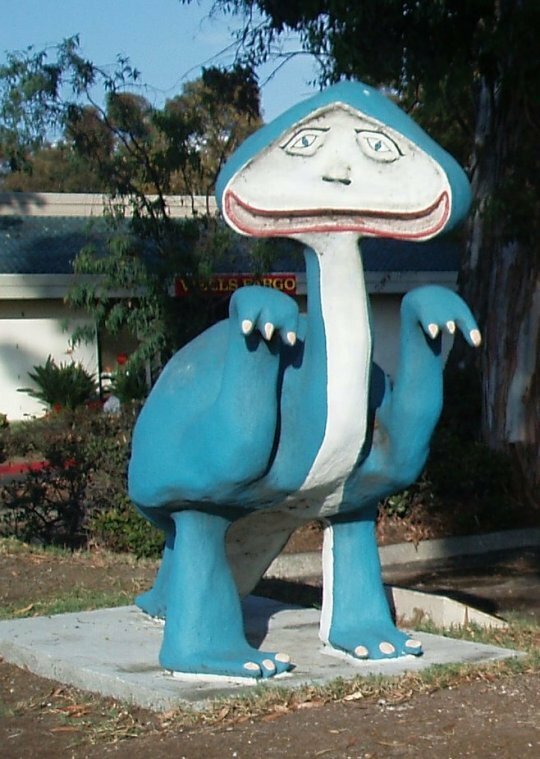 This Glarf, along with it’s companion, Rumbi, the yellow Glarf, used to reside in the front yard of the Gauss family’s home home on Valley Road in Bonita until they disappeared in 1970. 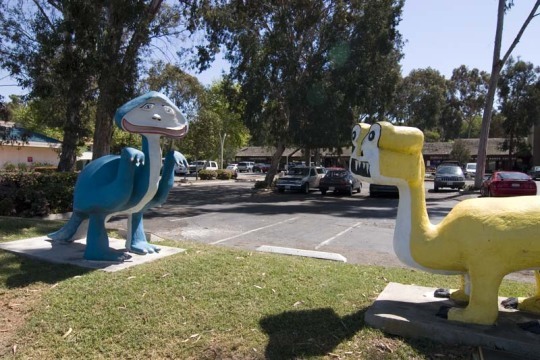 They were found found again in 1993 and relocated to their current spot in front of the Bonita Village Shopping Center on Bonita Road in 1999. Seriously, I’m super happy you like it. And I have a tattoo that I think is a little Le Chat inspired myself!